It’s getting warmer, which means pool weather is coming! However, in Australia, roughly 50% of child drowning cases happen in the home. That’s why it’s so important to make sure your home pool is safe for children. It may sound simple, but there are several things to keep track of. In this article, we’ve created a list of four things to consider when making sure your pool is safe. In Australia, there are certain regulations that your pool has to follow to ensure that it is safe for children, particularly when it comes to the pool gate. To make sure little hands can’t open the gate by themselves, the latch should be at least 1.5 metres from the ground, and the gate must be self closing, and self latching on the first swing. The pool gate should also open outward from the pool. Similarly, the fence must comply with safety regulations. There can’t be any vertical gaps more than 100 millimetres apart, and the fence must sit no further than 100 millimetres off the ground. At a height of at least 1.2 metres, the pool fence must always be in good, working order so that it’s secure. Any objects that may be used to climb the fence need to be packed away, and any other additional objects that may cause people to trip need to be removed from walking pathways as well. It’s also important to make sure trees and shrubs are trimmed so children can’t use them to climb the fence. The ground surrounding the pool needs to be free of any debris, and smooth to walk on. Without question, the most effective way to prevent children drowning is adult supervision, particularly with children under the age of 5. For young children, they should always be within arms’ length. It may also be helpful to learn first aid techniques such as CPR and resuscitation, or at the very least, ensure that your house has a comprehensive first aid kit to use in case of emergency. 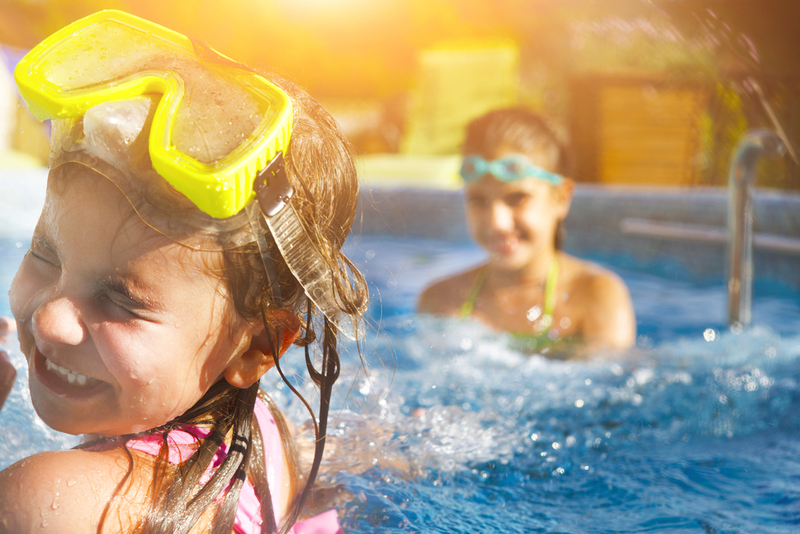 By taking these things into consideration, you’ll be working to make sure your home pool is safe and fun for everyone to use. A Better Driveway specialise in installing exposed aggregate driveways and pool decks around Melbourne. If you’re looking to update your home, get in touch by calling 03 5783 4746 today.